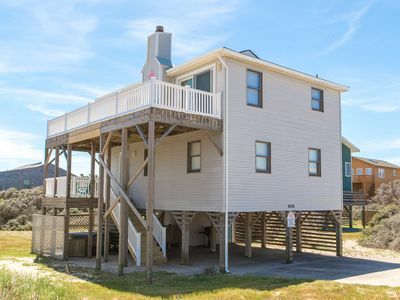 Two Minute Walk to the Beach--One if you Run at Ocean Breeze! 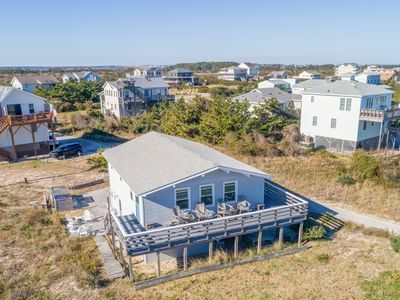 Whether you like to watch the sun rise over the ocean or gaze at the moon and stars, you can do it with sand under your feet, or from your private balcony, when you stay at Ocean Breeze at Colony by the Sea. 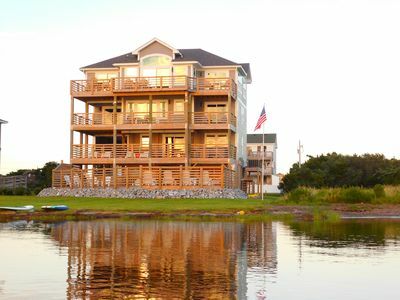 You are just steps away from the Atlantic Ocean, relaxation and fun! 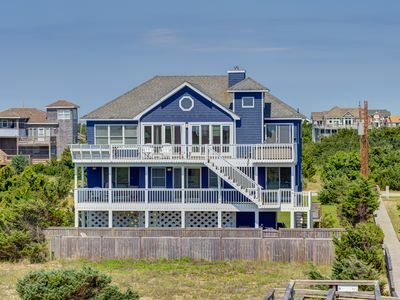 During summer month, June - August, Ocean Breeze rents full weeks only with all reservations beginning and ending on a Saturday. 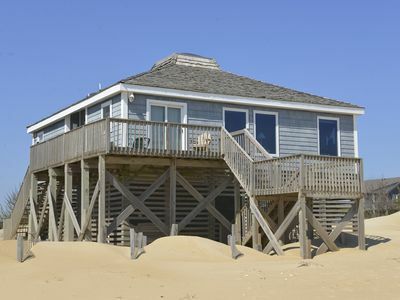 Off-season rentals, September - May, are a minimum of two days and can begin and end on the day of your choice. 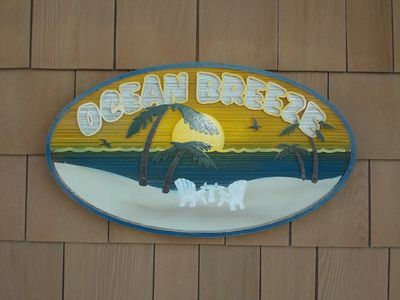 What does Ocean Breeze have to offer you? First, let’s start with location, location, location! 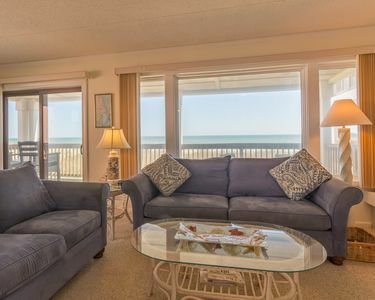 Ocean Breeze has ocean views from your private balcony and is a short walk to the beach, literally two minutes--we timed it, but no rush—you are on beach time and the ocean will always be there to greet you! 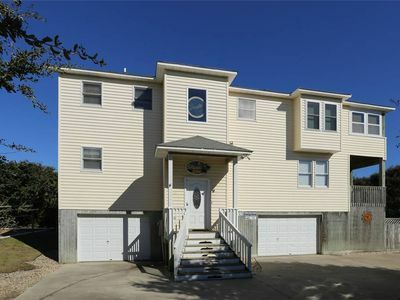 This one-bedroom, two bath, cozy condo is great for small families, and is located in the Colony by the Sea Condominium Community, in the heart of Duck, North Carolina. 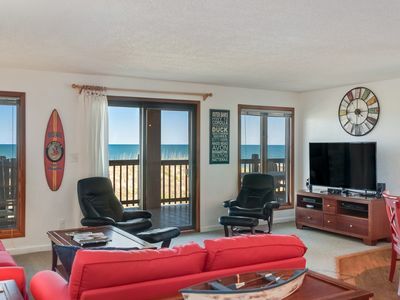 In addition to the perfect location, Ocean Breeze is an updated condo with a beach chic look. 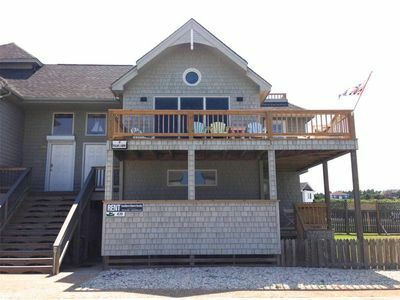 Ocean Breeze boasts a master bedroom, with a king size bed and private bathroom. 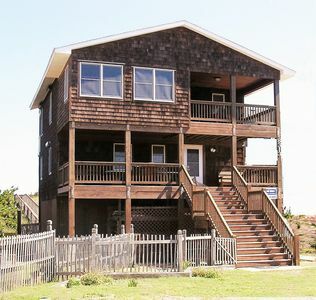 A bunkbed alcove with an ocean view is located in the hall and a queen-size sleeper sofa in the living room. 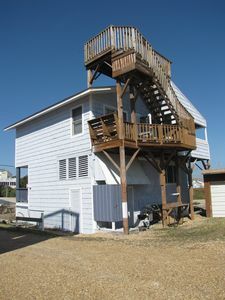 Amenities include wireless internet access, multiple flatscreen TVs, DVD players with a drawer full of DVDs, and games and puzzles galore. 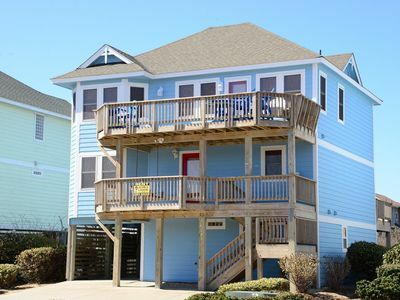 Breathtaking views from two private balconies with comfortable deck furniture are yours to enjoy as well. The pool opens in May and closes in October. 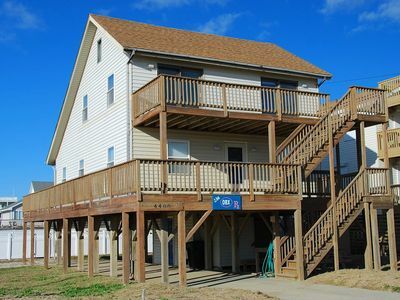 There are numerous grilling stations located on the property, as well as picnic tables so you can cook out and have a pool party! There is also plenty of grassy space too for a game of football or frisbee while the stakes are on the grille. 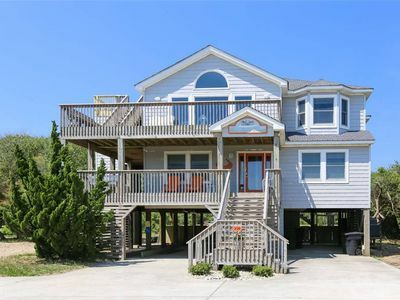 Guests of all ages enjoy the oceanfront pool, tennis courts, playground, outside showers, dune-top gazebos, and basketball court. 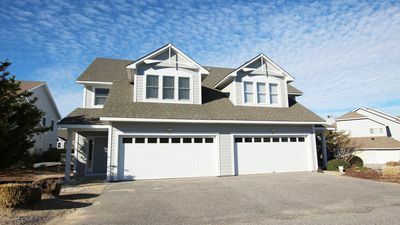 Convenience is also key at Ocean Breeze. We are fully stocked with pots, pans, cooking, and serving utensils so you can cook up a storm if that is your desire. 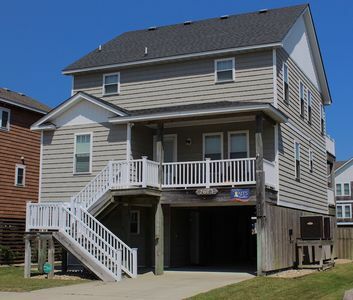 You are also within walking distance of the village of Duck—with great shopping and great eating!! Tommy’s Market and Winks are close but more importantly, the ice cream and donut shops are close by too! 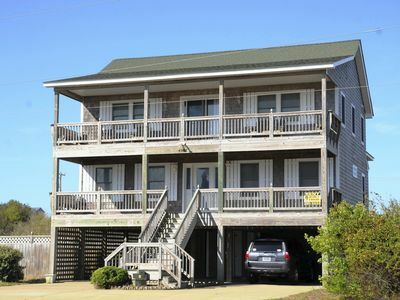 Ocean Breeze offers easy accessibility and is located on the first floor of the building, requiring guest to climb one flight of stairs to reach the front door (no elevator access). There is a coin operated laundry facility located on the ground level of each building. Guest supply their own bed linens and towels. Referrals to a rental company who deliver and pick up, provided upon request. OCEANSIDE WITH NO STREETS TO CROSS. ROOFTOP CROWS NEST -GREAT VIEWS ! K1082 Turtle Time. 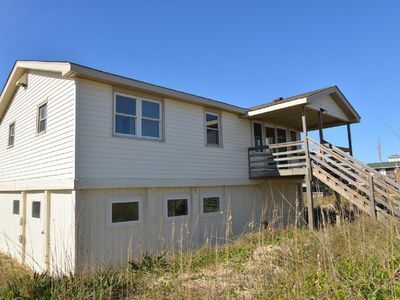 Great Ocean View, S. Nags Head, Hot Tub, Linens Provided! 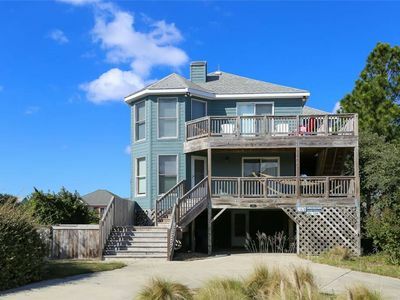 Kitty Hawk Home with Ocean Views from the Deck! 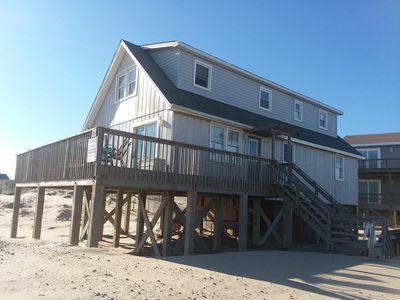 Pool, Hot Tub and Beach Access across the Street.